I have a 15 acre pond that is overpopulated with bass. 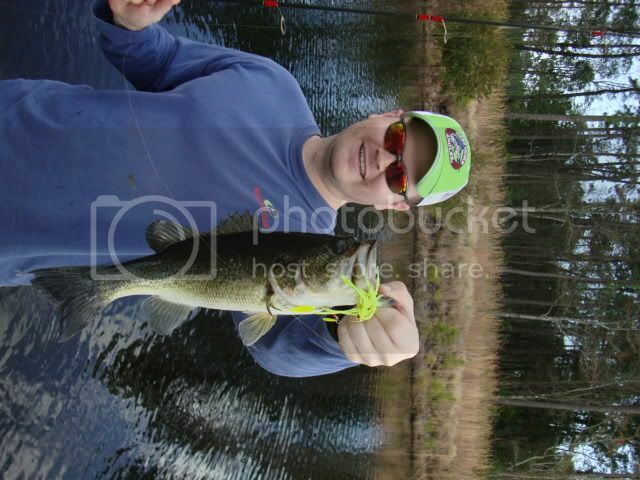 Most of the bass that I catch are 1/2 pound or less. The bream population seems to be ok. How many bass should I remove to get back in balance? Without a shocking survey, an exact answer to your question is not possible. A great number of other variables are present, including other fish species present, especially forage, other predator species, amount of available cover, etc. However, in 15 acres, you can likely remove every runner sized bass [6-12or14 inches] you and all your friends can possibly catch without any risk of seriously depopulating the bass. You'll know you're making progress when you start catching larger, fatter bass. Waco, welcome to the forum... Trying to remove enough bass from a 15 acre lake with an overcrowded bass population is going to be a real chore. I would recommend you keep a catch log. Measure all the lengths of fish caught and their weights. Then you can start calculating relative weights. I would keep ALL bass in the 8"-13" range. For a lake your size, I am estimating you're going to need to keep in excess of 750 bass that size for beginners. The fact that your sunfish population is still doing well, means you may just be getting to the crowded bass issue and not having been there for an extended period of time. Welcome to Pond Boss Waco. Yolk and CJ have provided some good insight. A common number for the SE depending on the matters noted above is 25 lbs per acre the first year. But it does depend on your situation. Here is a common gauge. Here is an excellent go by on what you should look for from Doc Anderson (he knows as he literally wrote the FS book on this). another very important factor is productivity? Do you fertilize? If so you may need to bump the removal to 30-35 lbs/acre or 500 lbs or 1000 little 10 inch bass. This of course if your goals are to produce more quality size bass. Thanks for all the information. I plan to fertilize with liquid 10-34-0. I will start keeping the small bass. Should I also keep all bream that I catch regardless of size? I'd just remove the LMB. Leave any BG that you catch in the pond as forage or forage reproducers for the LMB. No harvest of BG the first year while you remove 25 to 30 lbs of small LMB per acre. This is an old pond with mature bluegill. Should I not harvest these either? Your mature Bluegill are your breeders. The bigger the fish, the more eggs they will lay. You want the forage base (BG) to build up. More food to go around for less mouths to eat. You'll still have the same problem if you take out BG along with the underweight LMB. With 15 acres, if you like to eat bluegill, taking some out for a fish fry wont hurt you. Just keep after the small bass. Maybe wait til after a couple of BG spawns to take any. If you do take out adult BG then increase the LMB harvest during the first year. Waco, can you afford to have an electroshock boat come to your pond? In a couple hours, an electroshock boat can remove as many bass as you could in a couple months via fishing rod. Particularly this time of year when the bass tend to be in shallow water and a bit easier to shock up... Add in getting to see a true representation of your fish community and you will quickly get a much better idea what's going on under the surface of your pond.